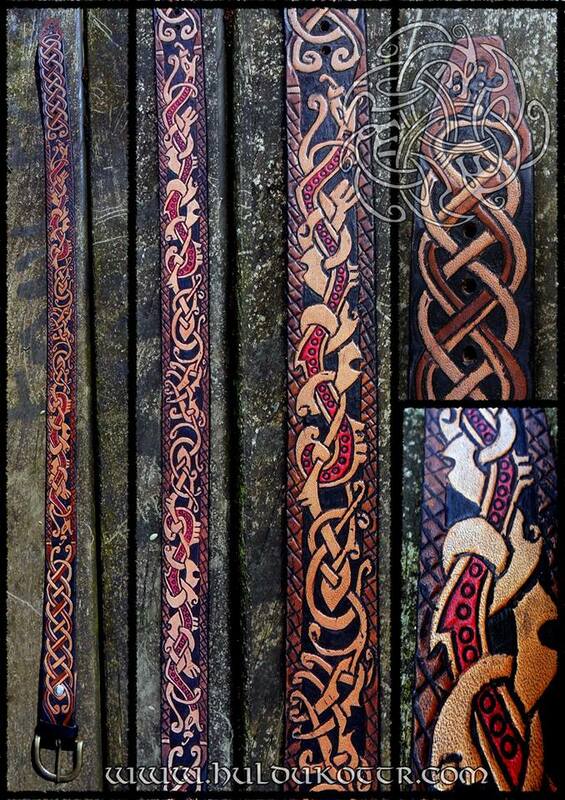 HULDUKÖTTR - Norse and Germanic Art: A belt and two guitar straps for Korpiklaani members. 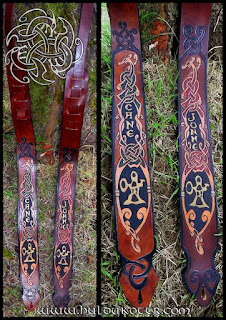 A belt and two guitar straps for Korpiklaani members. 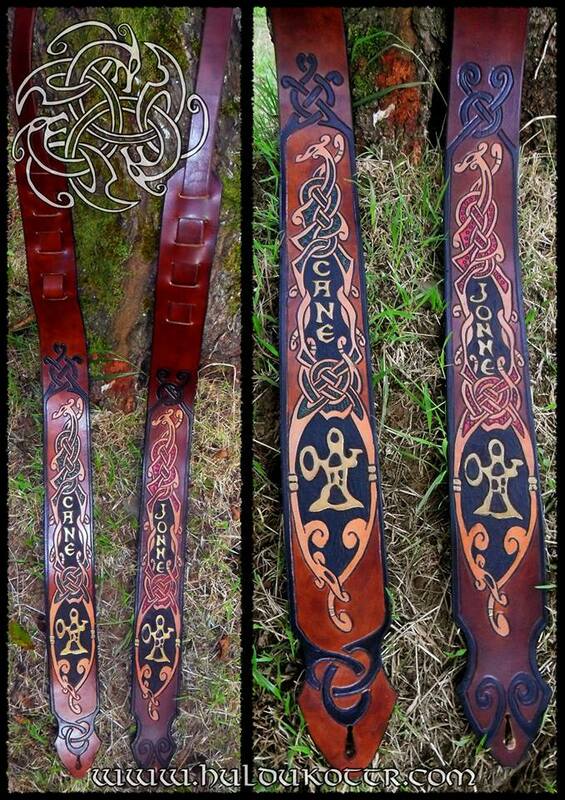 This belt and guitar straps were made for Jonne and Cane from the Folk-Metal band Korpiklaani a couple of years ago. We're glad to know they are using it on live shows even nowadays. 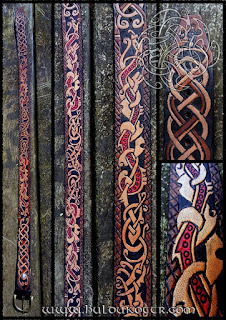 Don't ask us why, but making guitar straps is one of the most relaxing orders in leatherwork for us.